Biodynamic therapy combines specialized massage techniques with advanced psychotherapy to aid emotional and physical healing. It was created by a Gerda Boyesen, a Norwegian psychologist, and physiotherapist, who discovered that emotional and psychological problems register in the muscles and organs of the body, particularly the intestines. In psychotherapy sessions, she noticed that loud intestinal noises would occur when patients became very emotional. She also discovered that massage could cause patients to be sick or have diarrhea and that the health of these patients improved more quickly than those who had no physical release. Boyesen used the term ‘Biodynamic‘ to describe the life force or energy which continually flows through us linking body, mind, and emotions into one complete unit. She believed that energy in the body can become blocked by emotional or physical disturbances, such as severe shock, trauma or injury. How Does Biodynamic Therapy Work? Biodynamic therapy uses massage techniques and counseling to aid the release of physical and emotional stress. For example, you may be withholding feelings of sadness from a death until the behavior becomes so strongly engrained that you no longer feel any emotions. Under these circumstances, a biodynamic therapist would work on your body to free the pent-up grief so that you could again experience a healthy emotional cycle. Creating a healthy emotional cycle is one of the fundamental aims of biodynamic therapy. Biodynamic therapists believe that your emotional state affects your physical body. As strong or negative emotions subside, an emotional residue is removed through the intestines and your breathing returns to normal levels, allowing the body to function in a healthy manner. This cleansing process can become damaged if you constantly experience stress or tension. The body’s normal energy flow becomes sluggish and the muscles of the intestines will no longer function correctly. Consequently, much of the emotional residue remains in your system which causes physical and mental problems. Biodynamic therapists use massage to encourage the removal of emotional residue and to stimulate the flow of healing energy. What Happens During a Biodynamic Therapy Consultation? At your first consultation, the therapist will ask for full details of your medical history and discuss any particular problems that you may be experiencing. The therapist will check that you have no underlying issues that could prevent you from having the treatment. The consultant will then decide on what approach would benefit you most and choose the most suitable method to treat you. √ or a combination of both. Because intestinal health is so important, therapists normally listen to the intestines with a stethoscope and base the treatment on what they hear. A healthy relaxed abdomen may sound like a flowing stream, a blocked one may make no sound at all, while one that is beginning to relax after being blocked for a long time may make a creaking sound. 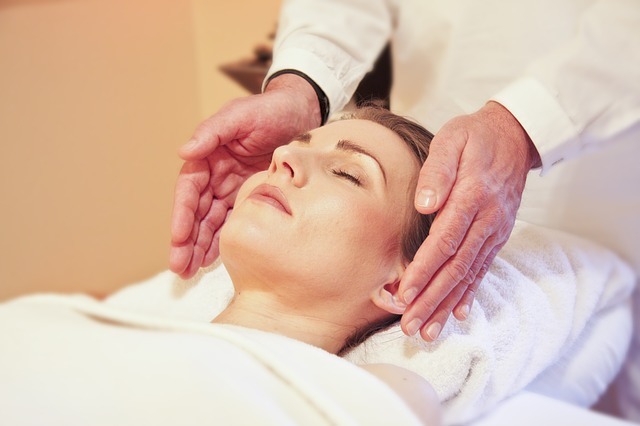 Therapists use a range of massage techniques to free emotions from congested muscles and promote energy flow. The treatment may release old memories or initiate emotional outbursts, which you will be encouraged to express with the help of the therapist. Biodynamic therapists claim to see results early on in the treatment, sometimes even after the first session. Individual sessions are normally one hour long. On average individuals need about a year of weekly sessions but this varies depending on the nature of the problem. Problems from the recent past can be fixed in a shorter time than those that can be traced back to childhood. The therapy is useful in treating all stress-related illnesses. This includes lower back pain, migraine, angina, MS, Parkinson’s disease and rheumatoid arthritis. Therapists also help clients to overcome deep-seated negative attitudes and feelings of hopelessness, fear and despair. Biodynamic therapy is safe for most people except those who are in the advanced stages of the disease. Most people who choose biodynamic therapy are adults seeking help with emotional problems, but children with psychological problems can also benefit from modified techniques. Milder forms of the therapy are suitable for pregnant women.